Bruises (contusions) result from a direct blow or a crushing injury; there is bleeding into the skin from damaged blood vessels without an overlying cut or abrasion. 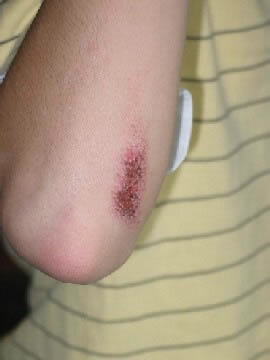 This picture shows a shallow abrasion on the left elbow. 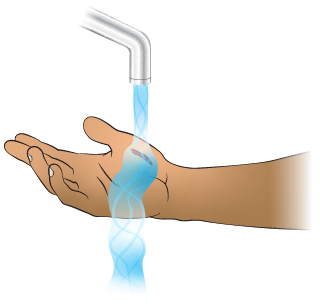 Wash the abrasion with soap and water. 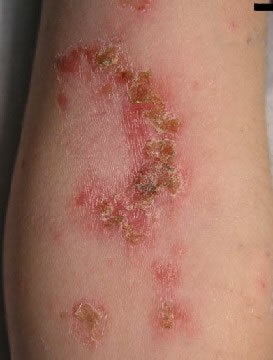 Apply an antibiotic ointment, covered by a Band-Aid or dressing. Change daily. This abrasion near the elbow occurred 3 days ago. 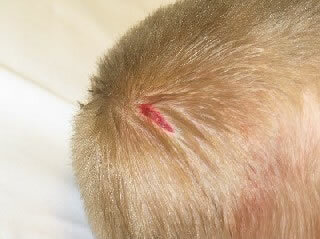 The picture shows an abrasion that is starting to crust over. 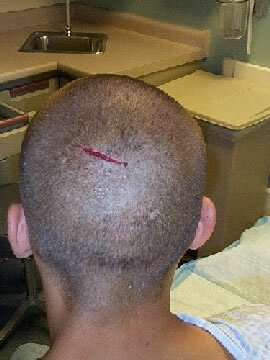 Cover with a gauze dressing or adhesive bandage (e.g., Band-Aid). 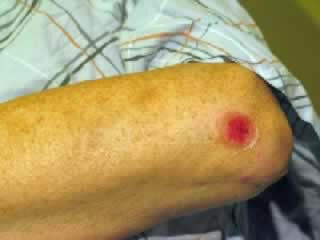 The photo shows an abrasion of elbow that has become infected with bacteria. Dermabond (2-octylcyanoacrylate, Ethicon) is a tissue adhesive or "skin glue" which received FDA approval in the United States in 1998. 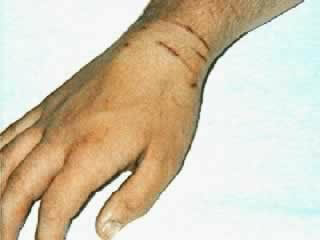 It is used as an alternative to suturing for the repair of simple lacerations. 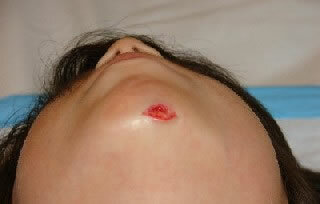 The cosmetic outcome of wounds closed with tissue adhesive is comparable and in some cases superior to suturing. 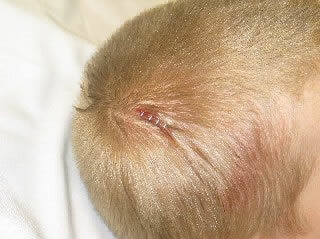 To apply, the wound edges are held firmly together, and several coats of the glue are painted along the wound margins. The glue dries quickly, within 45-60 seconds. The glue will come off on its own as the wound heals and the top skin layer falls off, usually in about one week.